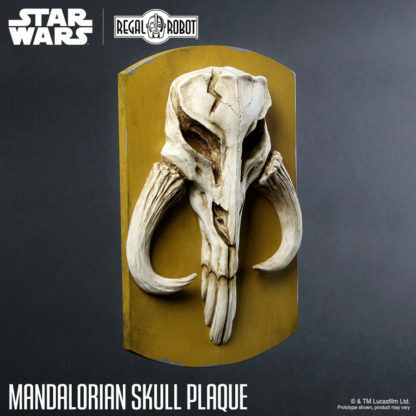 Our Mandalorian Skull Plaque is an 11″ tall realistic interpretation of the mysterious skull marking seen on the armor of iconic bounty hunter, Boba Fett™. 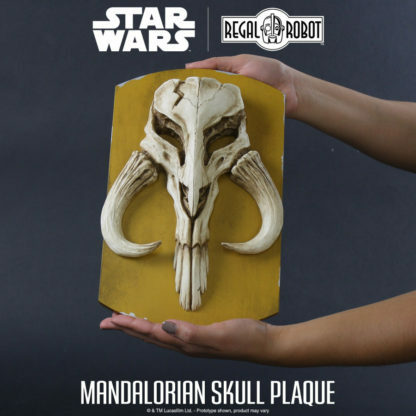 The relief sculpture is an eye-catching piece of dimensional wall art, sure to bring a bit of the Star Wars™ universe to your home, fan cave or office. 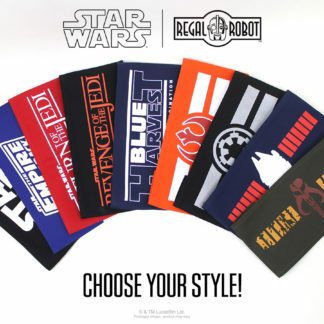 Each is made in the U.S.A., hand painted and comes ready to hang and display! 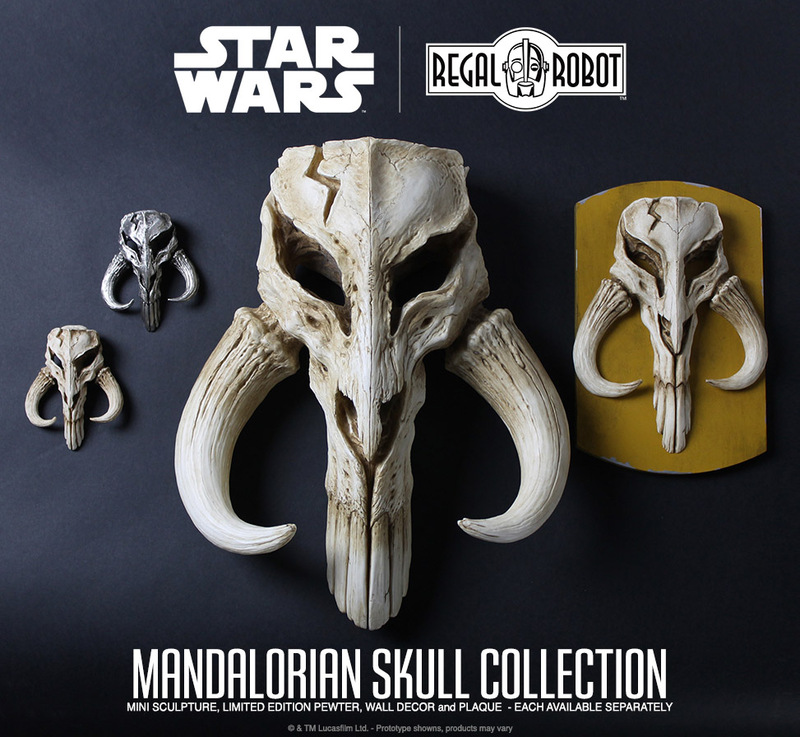 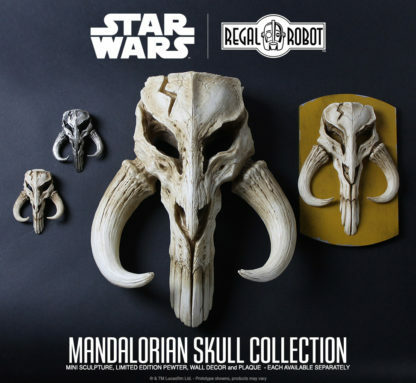 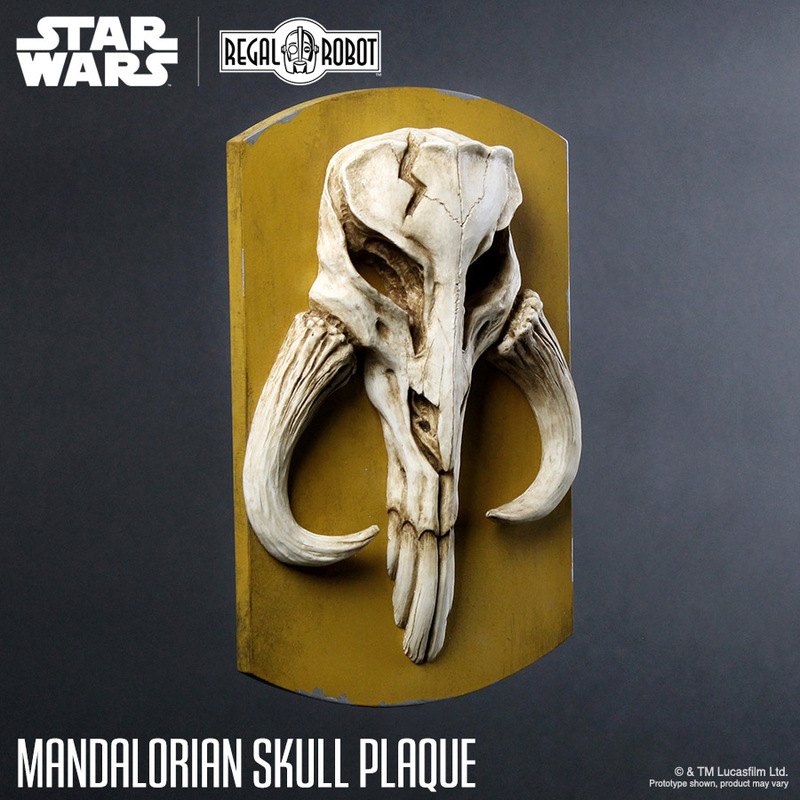 Regal Robot™ is proud to present the MANDALORIAN SKULL plaque. 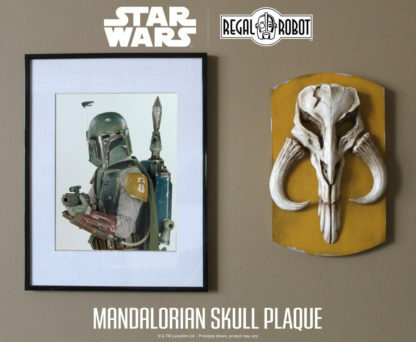 Ready to hang on the wall of your home, office or fan cave, this 11″ tall, this intricate bas relief sculpture was inspired the mysterious skull marking seen on the armor of iconic bounty hunter, Boba Fett. 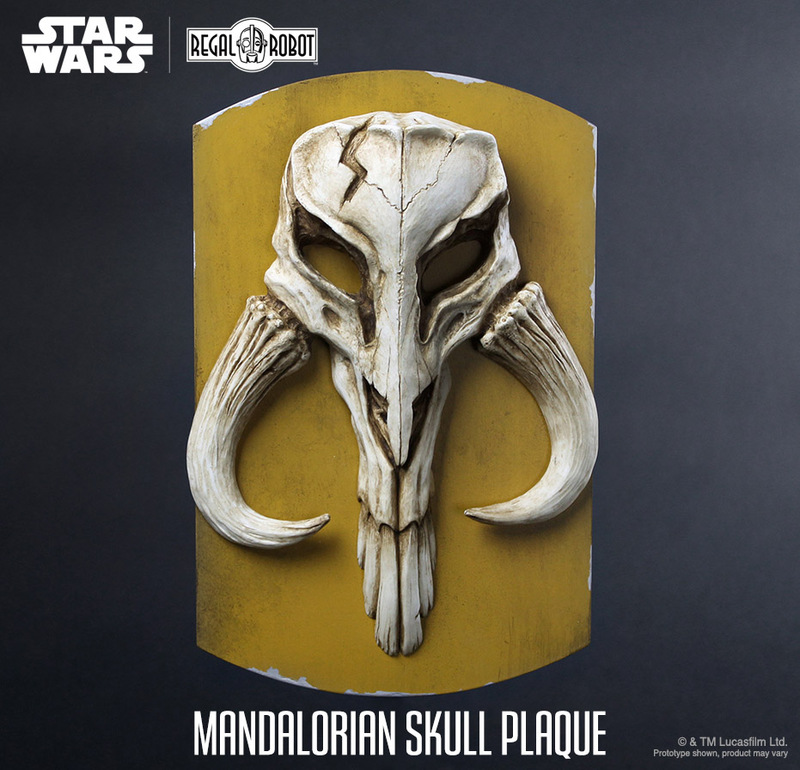 Alternatively referred to as a Bantha skull symbol or a Mythosaur skull symbol over the years, we’ve created a realistic interpretation of the bounty hunter’s signature shoulder patch, and the result pops with boldness and character. The classic Star Wars movies are filled with so many great details, any one of which (yes, even a small graphic from a character’s armor) can be the spark that ignites imagination and leads to a great piece of art that can bring the movies we love into our lives and homes in new ways. 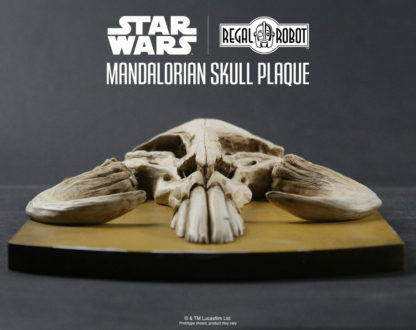 While we embrace both digital and practical technology, and this large and intricate sculpture was very much an old school, practical creation. 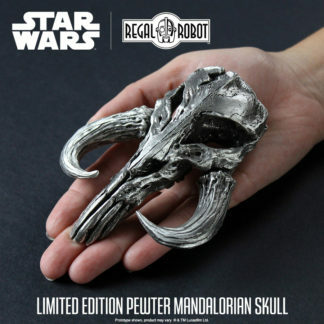 This skull was sculpted in clay, by hand and at full scale, by artist Steven Richter. 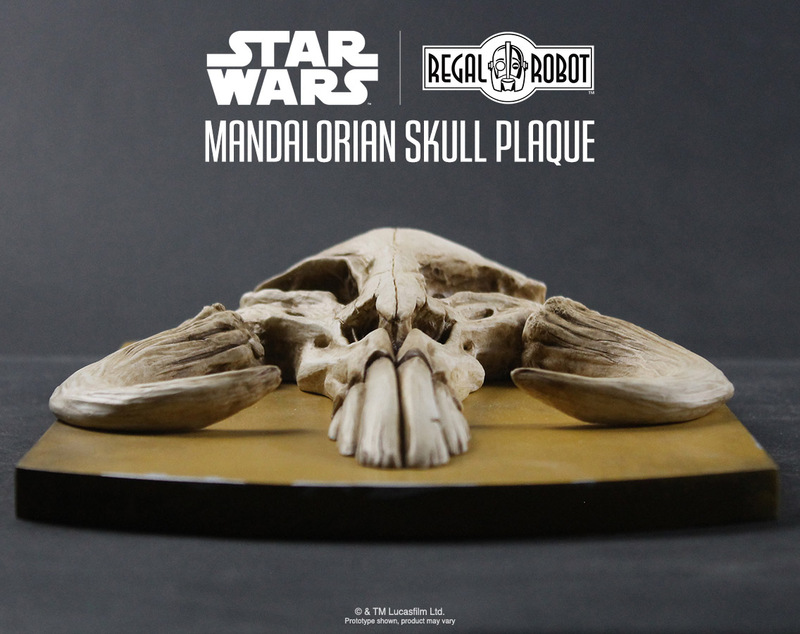 The sculpture was then hand molded for duplication and we hand pour each resin casting to create the final skulls. 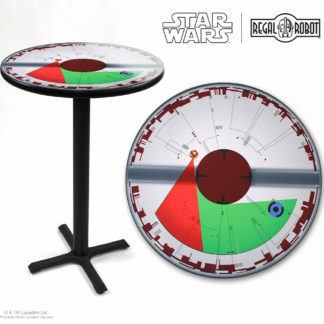 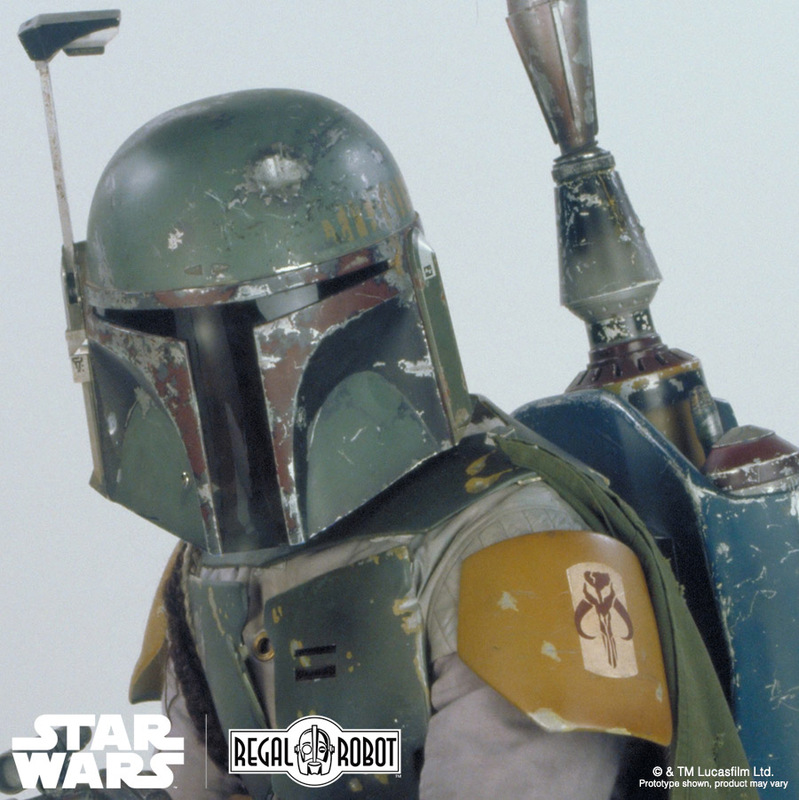 The plaque backing is made out of a CARB 2 compliant composite which is painted and further hand distressed to give it a finish that honors the battle-worn look of Boba Fett’s armor. Our Mandalorian Skull Plaques are proudly made in the U.S.A. Each is hand painted in a realistic bone look with layers of antiquing and staining, for the classic “lived in look” that Star Wars is so well known for. 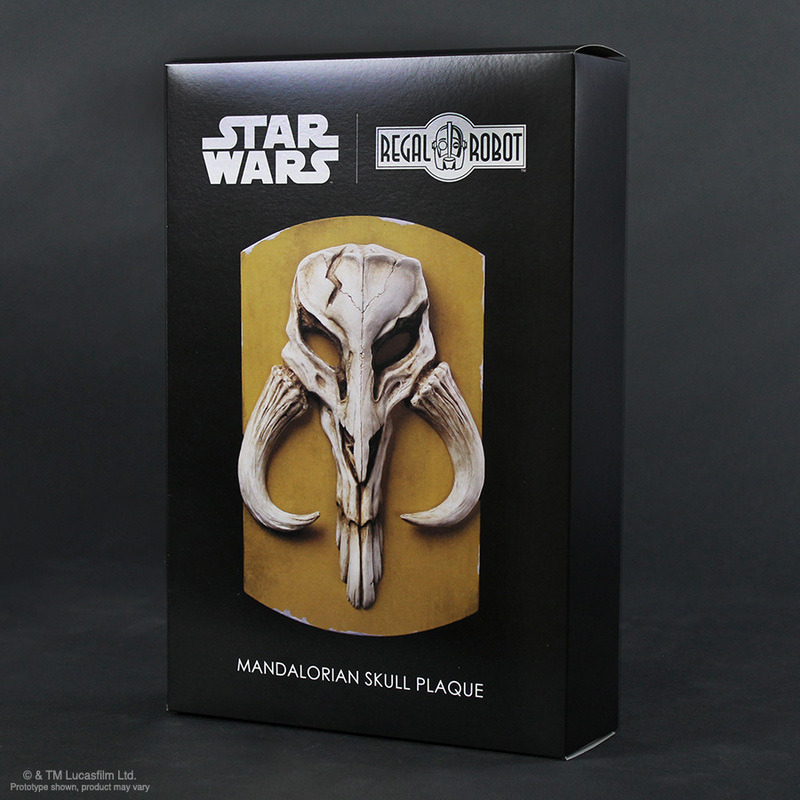 Each comes in a full color box and is fully painted and ready to display, order your Star Wars art today!